A Russian airliner that crashed in eastern Ukraine yesterday killing all 170 passengers and crew on board was probably struck by lightning as it encountered heavy turbulence, a preliminary investigation suggested last night. 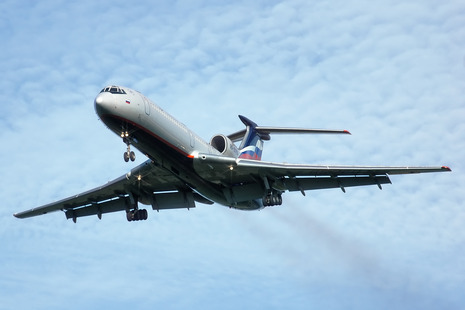 The Tu-154 was flying from the Black Sea resort of Anapa to St Petersburg when it went down in open countryside about 30 miles north of the city of Donetsk. More than a quarter of the aircraft's passengers were children. 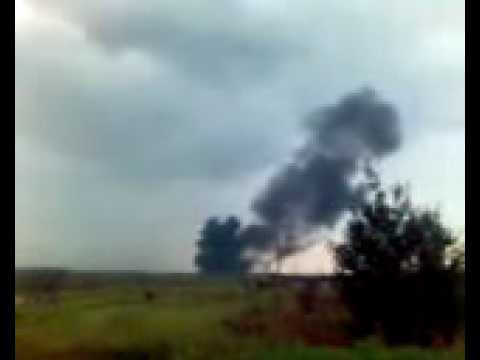 Russia's transport ministry said bad weather had probably caused the crash on flight 612. "A report about heavy turbulence came at 15.37 Moscow time from the aircraft, which was at an altitude of 11,000 metres, and then the plane disappeared from radar screens," a spokesman told Interfax. St Petersburg-based Pulkovo airlines told reporters that the crew issued a second distress signal from a lower altitude but air traffic controllers could not make out the sentence that followed. Aviation experts said the aircraft could survive a lightning strike, but flight instruments may have been knocked out, disorienting the pilot. The crash was the third major aviation tragedy in Russia this year. The plane was flying from the Russian Black Sea resort of Anapa to St Petersburg when it crashed near Donetsk, killing all on board. Most of the passengers were thought to be Russians, including 45 children. Officials say bad weather or a possible fire may have caused the crash. Investigators have now recovered the flight data and voice recorders. Officials working at the scene of the crash in eastern Ukraine have also recovered the bodies or parts of bodies of all 170 victims, Russian news agencies report.